There's a new version of Gmail rolling out today with a number of small changes. 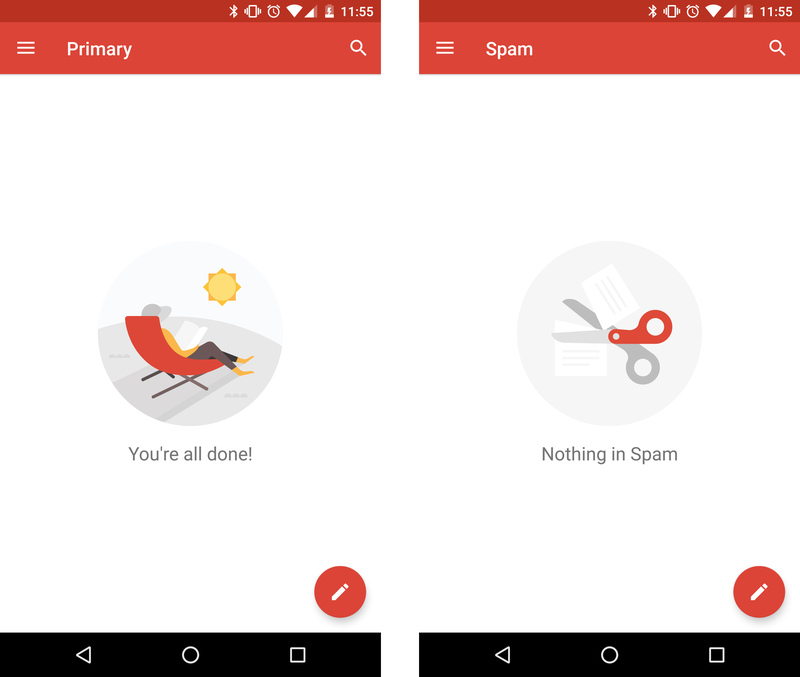 You may or may not notice these tweaks to functionality, but you'll probably notice the new graphics Google has added for an empty inbox or spam folder. It's kind of like Inbox. You can see the new graphics above. In addition to that, Gmail 6.9.11.134426830 includes the following. As usual, we've got the APK available on APK Mirror. Otherwise, this update should hit your device via the Play Store in a couple days.